through a series of VERY fortunate events that took place last fall, we ended up working on the biggest project of our JG lives. a project that really felt more like a dream. it was a serendipitous day. the day that PB teen walked into our store…and that day embarked us upon one of the most exciting & creative adventures we’ve ever been a part of. 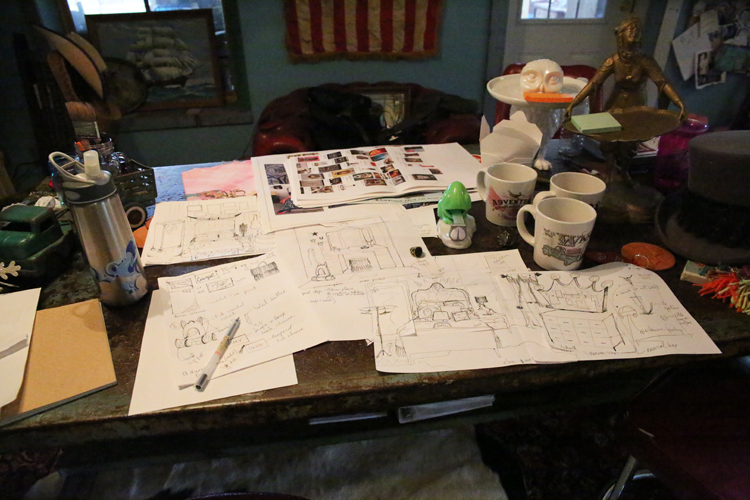 so we are proud to announce….coming this FALL…an EXCLUSIVE junk gypsy collection for PB teen! yes i said it. POTTERY BARN teen, y’all! pottery barn teen! we’ve sketched and designed and re-sketched and re-designed. PB teen has made several trips to texas as we’ve brainstormed into the late hours of the night and we’ve trekked to the POTTERY BARN headquarters in san francisco, we’ve had endless emails, phone calls, conference calls, and product testing….and nowwwww….coming this fall…the finished products will be ready to be in your home! and i promise, this stuff isn’t just for teens…it’s for ALL ages. we’ve dug deep on this collection. deep in our creative souls. we’ve spent hours upon hours thinking of all the elements and colors and symbols that we feel most represent JG. 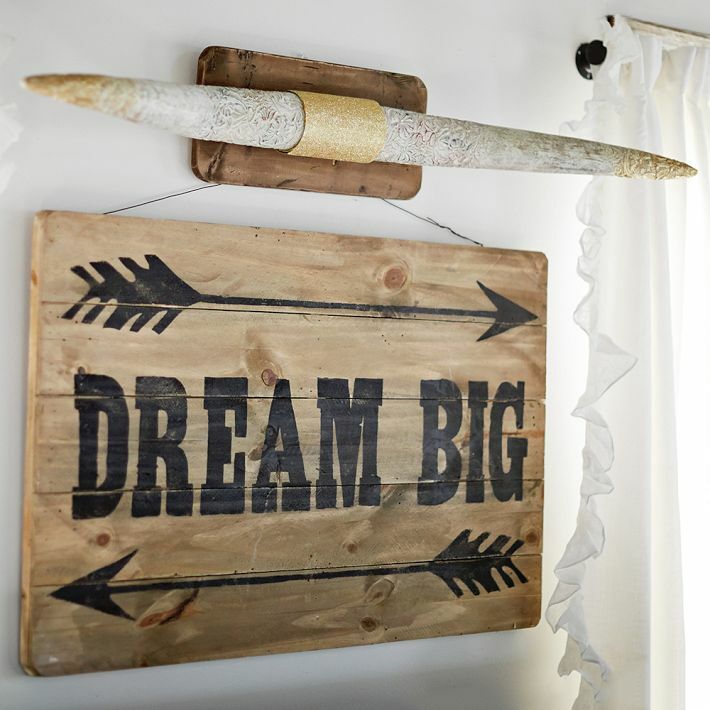 that most represent the things we love…all things vintage fleamarket. LOVE of life. love of the road- wanderlust. the south. independence. rockstar. and that most represent the 3 messages we want to convey with this line. this really is a dream come true for us…we’ve had to pinch ourselves through this whole amazing process. we’ve been allowed to be as creative as we wanted to be. we’ve been allowed to dream big. the sky REALLY was the limit with this collection. the pb teen team has been the most amazing group of folks on earth to work with. we have met our creative kindred spirits. READ their STYLEHOUSE blog HERE! and be sure to sign up for email alerts here to know all the release deets of the JG/PBteen line! come see the FULL collection at the JG WORLD HQ during antiques week THiS FALL! sept 26-october 4!!! CLICK HERE ..for pre-sale items!!! AND here to see our JG/PBteen pinterest board!!! and to think, this little business started at the fleamarket… ain’t nothin’ small ’bout this dream. I LOVE Pottery Barn and just sent some things to some little girls who live in Kansas–moved from Washington State . PB Teen has some great items for adults, too. I often check out their portion of the website for décor and will keep checking back on that link to see what YOU/THEY have to offer! I’m so happy for you guys!! How exciting…can’t wait to see all of it! Sending blessings by the bushelful! 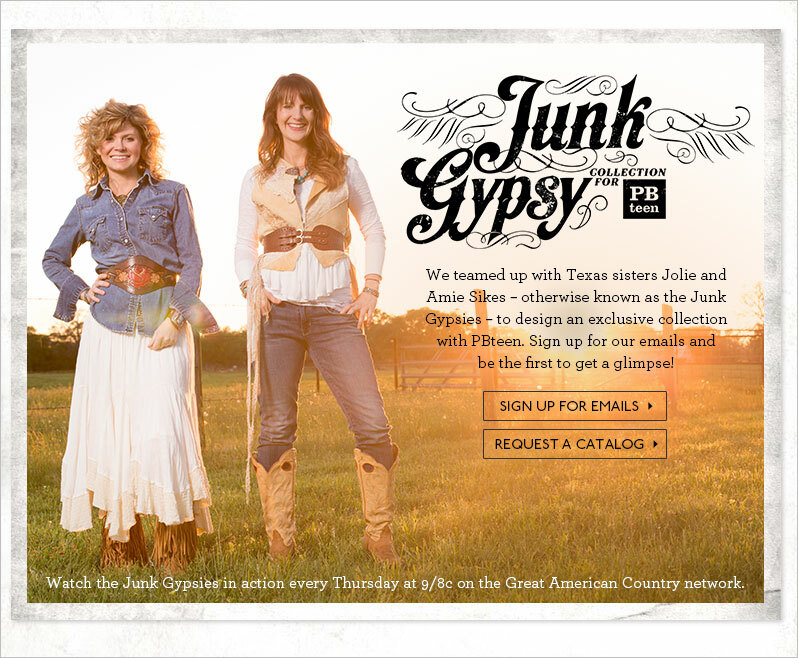 It must feel really, really wonderful to be a Junk Gypsy right now. Congratulations! When Tacey was a toddler on chemo and we had to go back and forth to Houston all the time, we would make it a point to stop at PB Kids for her to explore the store and play (she still had a little vision.) As she got older, she transitioned to PB Teen. She is over the moon to hear the pairing of JG and PB Teen! Oh, my!! 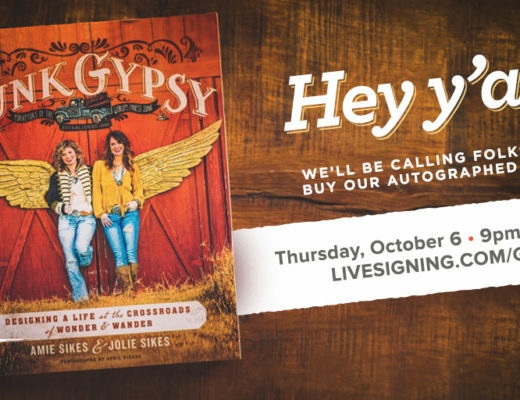 Thank you junk gypsies for letting us share in your awesome dreams and creative lives. PB is tooootally awesome and means more great JG ideas and cool stuff for all of us .to be inspired by. wow! I think I am in shock .i made a comment this morning and it looks like anything that doesnt agree with mass production has been takin off .disapointed girls .really am .I have been a fan from the beginning . WOWOWOWOWOW! 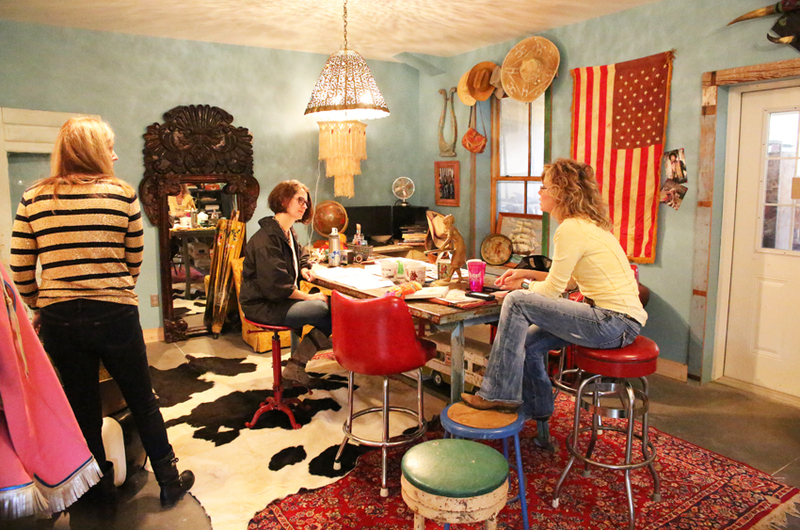 I watched tonight’s episodes of GAC Junk Gypsies and was so very thrilled for the monumental creative whimsy of the Junk Gypsy style to be recognized and celebrated by such a respected brand like Pottery Barn. Your PBTeen collection is quintessential JG (as was clearly designed as such) and your success is so very deserved, You girl are Stars and your style is Star-licious! 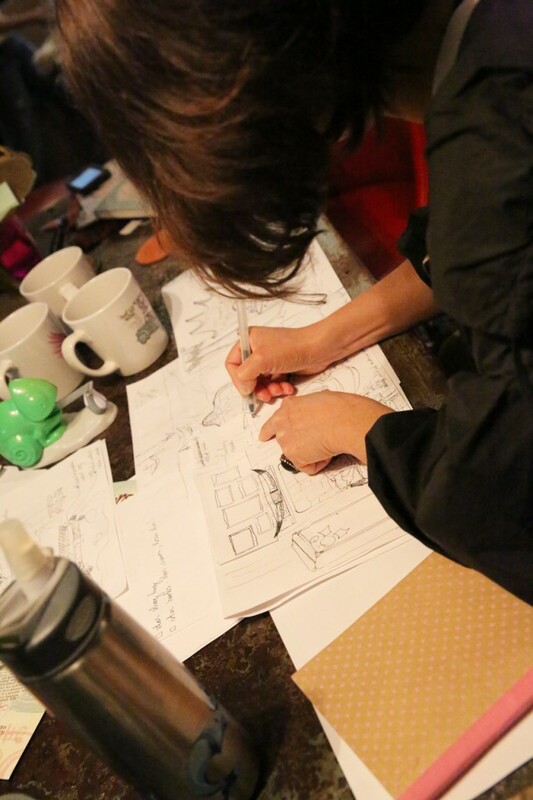 I am always hugely inspired by every moment and design idea coming from your direction. A VERY BIG FAN! This is So AWESOME!!!! Ya’ll will be needing “Body Guards” before long with all the Fame!!!! I am just going to have to hunt ya’ll down when in Warrenton for a pic and autograph to hang in my little bitty studio!!! Best Wishes for much continued success, and kudos for staying Humble Texas Queens in the Junkin World!!!! Viva Junk ! Thanks for taking it to a new level. Hi Girls!!!! I have to say, you both are a breatheof free air!! I have been home as a result of an injury to my neck. I broke it in2010 and as a result I’ve had a complete lifestyle change. I get very depressed at time and channel surf on the TV. Prior to my injury I was a flea market, yard sale junkie. 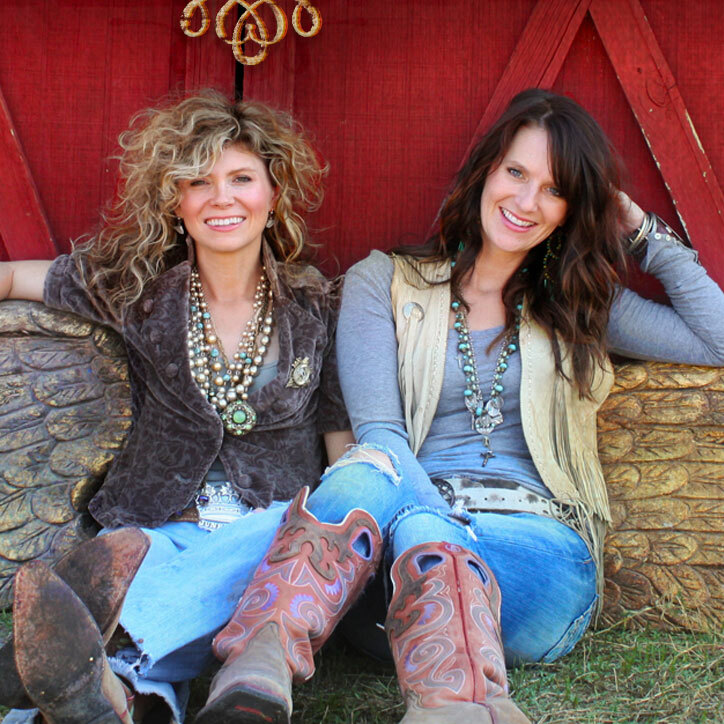 I called it rusty treasure and would say I’m off on the thrill of the hunt and would jump in my truck with my girls. Anyway, I came across your show and I have been so excited!!! Love your charming personalities and I would just love to get into your minds. Your thinking caps must always spill over with FUN 🙂 I’ve seen 15 episodes so far and can’t wait to see more. I am such a fan and absolutely will check out your store. I’ve told my girlfriends about your show too. Wow, and how exciting that Pottery Barn reached out to you!! The ultimate compliment besides your momma’s opinion. If you are ever in Maryland, I would love, love, love to meet you! Just wanted to say how proud of the two of you we all are. Y’all such inspirations to all of us! That’s just plain down right awesome! Congratulations I cant wait to receive my magazine in the mail! I was so excited for you guys when ai watched this episode!